A data center is a large, powerful system of computer components designed to provide the very highest level of network performance to an organization. Daily workflow, shifting resource demands, information storage and retrieval, and countless remote access protocols are all handled by one of these state-of-the-art systems. A data center is much more than the traditional networks of computers so often seen in business environments. Instead, a data center is a flexible, dynamic operational hub that can handle even the heaviest resource demands. In order to perform these important functions and to continue to do so for many more years to come, careful attention must be paid at every stage of data center construction. So when it comes time to bring a data center into your organization, make sure you work with a data center design firm that knows everything about building the best possible centers. One of the most important parts of data center construction involves the cooling system. All computer components generate a certain amount of heat. This is a by-product of the electricity required to run these components. On a small scale, you can see this process for yourself in your own laptop or desktop computer. The longer your machine is on, the warmer it gets. To prevent the computer from overheating, a small internal fan has been installed. This fan turns constantly to circulate the air inside your computer. The warm air is pushed away and cooler air from outside is drawn in. This is a constant process that continues without interruption. The fans and cooling systems inside personal computers are relatively small, in keeping with the small size of the machines. As computers and other electronic devices get larger, larger fans must be installed. 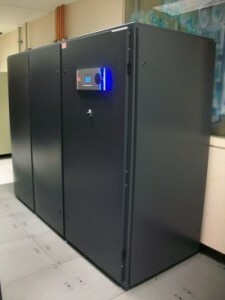 In the case of data centers, more extensive and elaborate cooling systems have to be designed and installed during the data center construction phase. 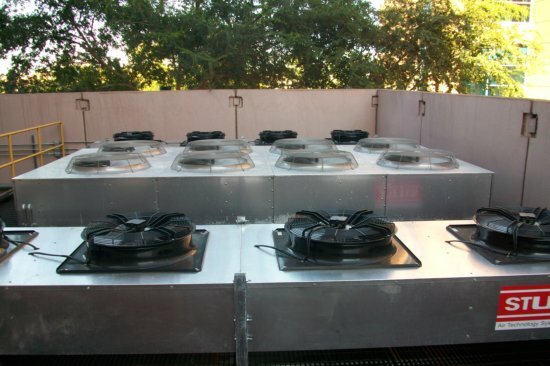 It’s essential that the cooling system be installed during construction and not as an afterthought. Methods of cooling must be an integral part of the design in order to work most effectively. There are several cooling methods that may be considered during the design phase of data center construction. Fans are a traditional choice, though the size of a particular data center may make fans impractical. An air conditioning system separate from the one that serves the rest of the building may be installed. Often, data centers are located in basement spaces in order to take advantage of the natural temperature control provided by the earth. And finally, coolant systems may be considered to manually reduce the temperature of the many components inside the data center. Any or all of these methods may be chosen as part of the finished design. Which cooling system is chosen for a particular data center depends on several things. Cost is one of the biggest considerations; it might simply be too expensive to install an extensive manual cooling system. Space is also taken into account. Not every organization has enough basement space to install large fans. Ultimately, the needs of the data center must take priority. Even if a little extra cost has to be incurred during data center construction, if that money is spent on cooling, it’s money well spent. Keeping your data center cool will prevent damage and keep it running well. This entry was posted in Data Center Construction and tagged Data Center Construction, data center design, Scottsdale data center construction. Bookmark the permalink.